As families across the U.S. celebrate National Adoption Day, it is important to remember certain factors regarding adoptions. The difference between these two types of adoptions and the experience for waiting parents can vary greatly. Domestic adoptions are done by statute in New Jersey under the 1994 Adoption Act. This act requires “the best interest of the child” to be the paramount guide post. Placement is made through private or public agencies assisting the adoptive parents to locate and effect the adoption, or through the state foster care system and Department of Child Protection and Placement (previously known as “DYFS”). International adoption varies by the law of the foreign country. The United States has recently seen a decrease in American families adopting internationally due to changes in foreign law-making foreign adoption costlier and more difficult. This change has been attributed to the rise of the middle class in areas like South America and Asia. 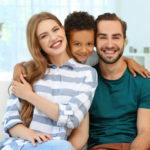 New Jersey law provides that an adopting parent is not required to file an adoption petition for a foreign adoption in New Jersey if (1) the child was adopted under the law of the foreign country, and (2) the adoption has been verified by the granting of an IR-3 immigrant visa by the U.S. Citizenship and Immigration Service. In situations where a parent voluntarily chooses to place a child for adoption, both birth parents must be provided written notice and a right to be heard regarding the adoption of their child. If the whereabouts of one birthparent is unknown, New Jersey law requires proof that all efforts were made to identify and locate the missing birthparent. Adoption varies by State as to the specific requirements needed. Once a missing birthparent is located, a form of surrender must be admitted with the courts providing proof that the birthparent relinquishes the custody of the child and voluntarily terminates their rights to raise and care for the child. Birthparents have a fundamental constitutional right to raise their biological children. In order for a child to be available for adoption, either (1) the birthparents must voluntarily relinquish their parenting rights to the child, or (2) a family court determines the birthparents are unfit to raise the child due to mental illness, neglect, or forsaken their parental duties. Less well known is the fact that adults may also be adopted. Adult adoption states that the court shall permit an unmarried person of full age, or a couple with both parties consenting, to adopt an adult person if the court is satisfied the adopting parents are of good moral character and reputable standing in the community, and the adoption was to the advantage and benefit of the person to be adopted. A common fear among parents and families considering adoption is that the adopted child may not feel like their own. Although this may be a valid fear, the experience of raising and caring for a child makes them your own. The initial fears about attachment fade, making how you got the child irrelevant and offering a needy child a forever home and creating a family that never seemed possible without adoption.